Check the items below to affirm that your files are compatible with our systems. This section will help make sure that everything will print correctly & optimally. All photos and images are saved at 300 dpi. All photos or images are embedded or links are included. All fonts are included or embedded. The colorspace of my files and images are CMYK or Pantone (not RGB). 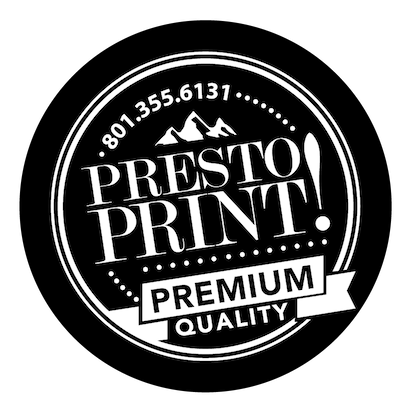 I prefer that the Prepress Department of Presto Print preflights my files for me (at an additional charge). Click or drag files into the boxes below to select a file on your computer. After you've selected the file, click the "Send File" to transfer your file to us. Please use WinZip or StuffIt to compress the file before you send it. If you do not have compression software installed, you can download WinZip for free here.